Tā moko – Māori tattoos – are enjoying a resurgence. Tā moko artist Chris Harvey, University of Canterbury lecturer Komene Kururangi and photographer Michael Bradley (whose recent ‘Puaki’ exhibition documents wearers of mataora and moko kauwae – facial tattoos) discuss this resurgence, as well as the reasons and responsibilities that come with deciding to wear such a visible sign of mātauranga Māori. Part I: What is tā moko? How is it different to kirituhi (writing on the skin)? Who can wear moko? Why do people get moko? This year Te Wiki o Te Reo Māori (Māori Language Week) has shifted from its usual end of July timing to 11-17 Mahuru (September). This year we also celebrate the 30th anniversary of te reo Māori as an official language of Aotearoa. In celebration of Te Wiki o Te Reo Māori we will be publishing a blog post each day incorporating te reo Māori or highlighting te reo Māori resources. Christchurch City Libraries – Ngā Kete Wānanga o Ōtautahi will be celebrating Te Wiki o Te Reo Māori with Wā Kōrero/Storytimes throughout the week with te reo Māori songs and stories. There will also be a couple of storytimes sessions extra to our usual schedule delivered by a bilingual presenter at Linwood and Aranui. See our events calendar for a session near you. If kapa haka is more your thing, get your takahia on at Aranui Library, 2-3pm on Thursday 14 September where St James School – Te Kura o Hato Hemi will be performing. Adding te reo Māori to your library experience can be as straightforward as the tap of a screen – why not simply try out the reo Māori option on our māu e tuku (self issue) machines? There are a variety of language options on our self-issue machines including Te Reo Māori. Or learn a new kupu (word) by reading our bilingual library signs or even just learn to say the Māori name of your local library. Beyond the official week celebrating te reo, a further initiative, Mahuru Māori, encourages te reo Māori speakers of all levels of ability to commit to speaking te reo Māori only during the month of Mahuru/September. Other options are to speak te reo Māori anake during a chosen day of the week, or for one week of the month. Te reo speakers can join the Mahuru Māori Facebook Group for support and help to complete the challenge. For te reo tweets during September follow @MahuruMaori. There are many, many resources available for anyone wanting to improve their te reo Māori knowledge. Here are some suggestions for filling your basket. Te Reo Māori resources A list of resources in our libraries and online for learning Te Reo Māori. Te Reo Māori courses Search CINCH for community courses in the greater Christchurch area. 100 Māori words every New Zealander should know This useful resource includes sound files of the words being read out from nzhistory.net.nz. Video clips and language learning resources from Ngai Tahu’s Generation Reo. Māori words and phrases from Māori Language.Net, includes commands, phrases to use with children, months of the year, greetings and more. In addition to online resources and titles available at your local library, the following initiatives and events can help bring some te reo into your day. A cafe – Order your drink of choice in te reo at any of the cafes in our libraries (South, Upper Riccarton and Te Hāpua: Halswell Centre) or at The Kitchen cafe on the ground floor of the Christchurch City Council building on Hereford St and from 11-16 September you’ll get an extra sweet treat to go with your drink. Need help with how to place your cafe order in te reo? Te Taura Whiri o Te Reo Māori (The Māori Language Commission) has produced this fantastic guide to awhi you. The post office – NZ Post is celebrating Te Wiki o Te Reo Māori this year with a range of stamps featuring Māori kupu (words) to do with technology. Learn new words like “ahokore” (wifi), “Pūnaha Kimi Ahunga” (Global Positioning System) or “waka hiko” (electric car). 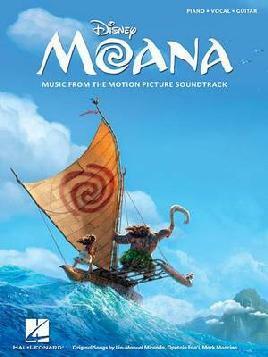 The movies (Moana Reo Māori) – Disney’s hugely successful animated feature with a Polynesian setting, Moana, has been dubbed entirely in te reo Māori (including the waiata) and will screen in cinemas during Māori Language Week… for free (though online booking fees may apply). There are limited session times so get in quick for tickets. For a taste of what to expect, watch a video of the cast singing to Taika Waititi and whanau (via Facetime). Anywhere – Te Puni Kōkiri is distributing special “kōrero” badges so if you see someone wearing one it’s a tohu that they can carry out a conversation in te reo Māori and are happy to do so. Give them a cheery, “kia ora” if nothing else! SuperValue supermarkets have te reo posters and colouring in which you can download and print at home. 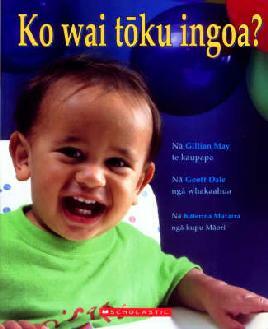 Te Papa Tongarewa have a Te reo Māori pukapuka mahi (Māori language activity book) to download suitable for kids 5-10 years. 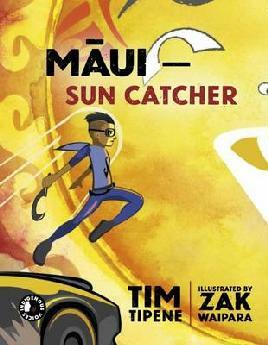 We’ve also made lists of modern classic picture books in Te Reo Māori and Māori stories for older children. If you know of other resources, events or initiatives in Ōtautahi to help people celebrate Te Wiki o Te Reo Māori, please feel free to let us know about them in the comments below. Matariki 2017 is a fresh look through old eyes at Māori oral traditions, practices and customs associated with the Māori New Year. Over the next three years the Christchurch City Libraries will be re-introducing ‘Te Iwa o Matariki – the Nine stars of Matariki’ beginning with Te Kātao o Matariki – the water stars of Matariki, Waipuna-ā-rangi, Waitī, Waitā. Nine or Seven? That is the question! The star cluster of Matariki (Pleiades) has long been associated with the Greek tale of the seven daughters of Pleione and Altas, who, upon being harassed turned into doves and flew into the heavens. In this version of the story, two stars were not included in any traditions or commemorations, rather the mythical seven were embraced. Associate Professor, Dr Rangi Matamua, Te Whare Wānanga o Waikato, is a leading Māori astronomer. He has spent over 20 years researching indigenous astronomy. Awarded the 2014 Fulbright Scholarship – Ngā Pae o te Māramatanga, Rangi used the grant to study how astronomy is embedded into the cultural practices of indigenous people. That same year he was successful in leading a group of Māori astronomers in securing funding from the Royal Society – Te Apārangi (the Marsden Fund) to continue this study. It is through his Ngā Pae o te Māramatanga research and the work of the Marsden Fund project Te Mauria Whiritoi that Rangi has re-confirmed that there are nine stars that constitute the star cluster of Pleiades or Matariki not just seven stars as commonly believed. For this reason Rangi and Te Reo Māori Language expert, Paraone Gloyne produced an article in Mana Magazine reclaiming the two missing stars and providing an insight into Te Iwa o Matariki. Puanga or not to Puanga? For some iwi, Puanga not Matariki marks the start of the New Year as it rises just before Matariki. For others Puanga is seen as the pre-cursor to the rise of Matariki. It is Puanga that foretells the fortunes of the coming of the New Year by his appearance and placement when he first rises after the first new moon. It is Matariki who confirms it through her placement and appearance when she appears three days later. According to some oral traditions, Puanga is the older brother of Takurua his younger brother, and his pretty younger sister Matariki. Jealous of the attention Matariki gets, “the task of Puanga is to strive ahead of Matariki that he may again take possession of the year for himself.” (Puanga, Star of the Māori New Year) It is for this reason he appears prior to Matariki in the hope that he may be heralded as the bringer of the New Year, only to be overlooked with the appearance of Matariki. Does Matariki always rise in June? No, the last quarter of the moon cycle known as the Tangaroa nights of the moon is when Matariki rises. This can vary from year to year but is always in the cold months from May to July. This year the rise of Matariki is from 17 to 20 June while the period of Matariki is from 17 to 24 June. Explore our page on Matariki. Read our page on Matariki for kids. Find more information on Te Ao Māori and Te Ao Māori for tamariki. This article was published in issue 4 of our quarterly magazine, uncover – huraina. Read it online. When you emigrate, it takes time to get your histories all in a row. First up all you are aware of is loss, the huge gaping and unfillable loss of who you were. It takes all your energy just to keep your head above water. At least that was how it was for me. But then I rallied and joined the library where one of the first books ever issued to me was Michael King’s The Penguin History of New Zealand. Feeling very virtuous I carried it back on the bus to Brooklands. There I took it on little jaunts from room to room and finally bussed it back (unread) a month later. It was too much too soon. I pulled in my horns. Time passed and I started to look out for books that related to my interests: art, architecture and the stories of women. Beautiful books drew me in and fed my soul. Books like: Māori Architecture by Dierdre Brown; books about New Zealand Art, and A History of New Zealand Women by Barbara Brookes. I am unapologetic about the fact that sometimes I just looked at the pictures. I had a lot of catching up to do. 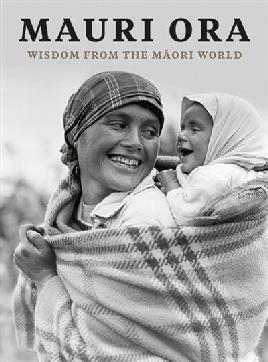 Then, just recently, I came upon my best New Zealand book thus far – Mauri Ora: Wisdom From the Māori World by Peter Alsop. This is a lovely book to look at, a satisfying book to hold and a profound book to read. At much the same time as I was reading this book, I arrived at Central Library Manchester one day to work. On the sandwich board outside the library (see the photo at right with Fiona – its creator) was a te reo quotation with its English translation. I could almost understand the reo and I was enchanted by its translation – so appropriate for the library in question. In a break from the usual format of panel discussion, this episode is a recording of Sacha McMeeking and Hana Skerrett White of University of Canterbury and Arihia Bennett, CE of Te Runanga o Ngai Tahu who presented on the topic “Indigenous women in leadership” for a New Zealand Human Rights Commission event to promote the United Nations Declaration on the Rights of Indigenous People (UNDRIP) and #IWD (International Women’s Day). Te Matatini. The many faces. Wednesday marked the opening of what is one of the biggest events on the National Māori calendar. Eagerly awaited by thousands, this biennial event is the paramount event for Māori performing arts. An extravaganza of live performance and a bringing together of some of the best exponents and practitioners of the art form from across iwi and the motu. Places at the Nationals are hotly contested within individual rohe. Top qualifying groups from each district make the National competition. The amount of work that goes into the stand of each group is immense. Original composition, choreography, vocal excellence, beauty and excellence in the language as well as physical fitness are all required. Participation at this level also requires a mastery of a variety of art forms – from mōteatea to poi to haka and traditional weaponry. Hundreds of hours of relentless practice and commitment are required from members of groups that take months if not years in the preparation of what they will share with the mutitudes when they take the stage. The result is a feast for the senses and the soul, each group bringing the best they have. The best groups embody all the aspects of ihi, wana and wehi. Various components of each set are judged and scored. Each set consists of waiata tira, mōteatea, whakaeke, waiata ā ringa, poi, haka and whakawātea. Individual items as well as other components such as excellence in the Reo, original composition, kākahu, kaitātaki tane and kaitāki wahine are all judged and scored to help decide the overall winner of each judged item and to decide the eventual overall winner. Everyone has their own favourite kapa and star performers, the choreography that causes “ohhs ” and “aahhhs”, the brilliance of new original compositions. Te Matatini inspires excellence in all the performers, and has been known to spark many a conversation, ignite hapū, iwi and rohe pride. Occasionally results have been known to cause debate or some controversy, but one thing is for sure – Te Matatini never disappoints. If you would like to learn about Māori performing arts in more depth, we have some great resources available in our libraries. As a starting point, you might like to look at our Matatini – Māori Performing Arts resource list. In 2014 this amazing little book was released. Beginning it’s life as a MA thesis at Te Whare Wānanga o Awanuiārangi. Sadly Pāpā Wiremu passed away before the book was published however with the kind permission of the Tāwhai whānau it was published by Huia publishers. 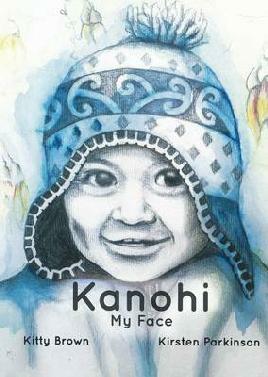 It is a wealth of information for old and young, Māori and non-Māori. Ko te Kuti, ko te Wera, ko te Haua, e ko Apanui…! Every now and then you get the opportunity to read a book that not only leaves you feeling privileged to have read it, but more importantly, wiser for having done so. 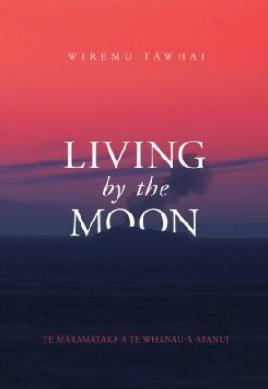 Living by the Moon – Te Maramataka o Te Whānau-a-Apanui is one such book. Written by the late Wiremu “Bill” Tāwhai, a well-respected kaumātua of Te Whānau-a-Apanui, Whakatōhea and Ngāti Awa, it is a collation of Te Whānau-a-Ruataia inter-generational knowledge pertaining to Te Whānau-a-Apanui lunar calendar. Long before shopping malls, smart phones, “Uncle Google”, and social media, our tipuna planned their lives by the lunar calendar. Every iwi had one. Knowing the lunar cycle, understanding how it affects your environment, and your competence to analyse and interpret correctly those effects, determined your ability to hunt, grow, and gather food. Thanks to Wiremu’s natural skill as an orator, this knowledge is conveyed in a way that is not only easily understood but leaves the reader feeling as though they are sitting with him. It took me back to a time when I was young and would sit with my own father listening to tribal kōrero. 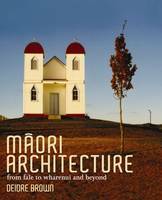 Sadly, Wiremu Tāwhai died on 2 December 2010, before his book, which began as his MA thesis for Te Whare Wānanga o Te Awanuiārangi, was published. However, he left various legacies for future readers within his text. These included the consideration of what is to become traditional wisdom and knowledge such as the maramataka, reminding us of their importance “to sustain a healthy environment for the enjoyment of generations to come.” Encouraging words for all Māori to research their tribal knowledge, build tribal repositories, and openly share this knowledge among tribes and internationally with other indigenous nations. His final words are for his people of Te Whānau-a-Apanui, encouraging them to continue the exploration of their traditional knowledge basis, record their findings and therefore ensure the distinctiveness and character of the tribe will endure. Wiremu Tāwhai demonstrates his own gifts as a word-weaver… the rewards [of this book] are greats when the texts are read side by side, paragraph by paragraph.Taken together, they complement and illuminate each other. Doing this makes the book an easy read, with an insight into a world that once was and that many are now returning to. It is certainly one book I will return to again and again, even just for the pleasure of reading it. E Tā, ka rere āmiomio atu te whakamiha ki a koe e te huia kaimanawa mō tēnei taonga i tākoha mai nei. Māringanui katoa mātou i tōu tiro whakamua i tō whare kōrero kua whakakaohia e koe, hei taonga whakamahi mō ngā uri whakaheke e manakotia mai ana ki ēnei mea. Nā reira e Tā, ahakoa kua riro koe ki te manaakitanga o rātou mā, ā, e ora tonu ana tōu owha, te owha nā ngā tipuna. Āpōpō ko te Rakaunui te tīmatatanga o te maramataka hou hei arahi i tō rahi. The phrase “Ākina te reo – using the Māori to show support” is also being used as part of the campaign which includes celebrity ambassadors like Canterbury’s own Andrew Mehrtens making more of an effort to improve their te reo skills. Christchurch City Libraries – Ngā Kete Wānanga o Ōtautahi will be celebrating Te Wiki o Te Reo Māori with special bilingual storytimes throughout the week. See our events calendar for one near you. The Wā Kōrero (Storytime) session at New Brighton will have a special guest performer in Kitty Brown, co-author of a series of te reo Māori board books for children. The kids from Merrin School will be raising the roof at Upper Riccarton Library on Wednesday, 6 July with a rousing kapa haka performance. Not to be missed! We’re also hosting a special event on The History of Te Reo Māori in Children’s Publishing on Thursday, 7 July at Fendalton Library. But there’s no need to attend a special event to add te reo Māori to your library experience -why not simply try out the reo Māori option on our self checkout machines? Read our Te Kupu o Te Wiki (Word of the week) blog posts. 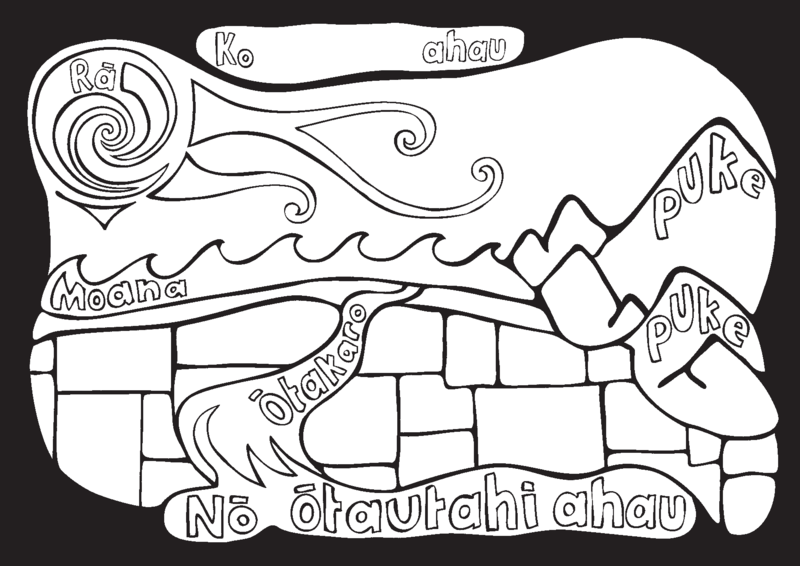 SuperValue and Fresh Choice supermarkets have te reo posters and colouring in which you can download and print at home. Ākina Te Reo calendar (1.6 MB PDF) features NZ sporting heroes and important dates in the NZ sporting year. Information about the haka performed by the All Blacks and videos. As Te Wiki o Te Reo Māori draws to a close we can all stop using our newly learned kupu and vastly improved pronunciation until next year, right? Every Monday on this blog there’ll be a kupu hou (new word) to add to your vocabulary, complete with a link where you can listen online so no worries about not getting your pronunciation tino tika. Māori art vector prints by Dallas Matoe and Lino cuts by George Aranui, until 15 August at Linwood Community Arts Centre/Eastside Gallery. NZIFF documentary about the planning and building of New Zealand’s first “living building”, Te Wharehou o Tūhoe. This is no Grand Designs, it’s much more than that. Session on 15 & 16 August. 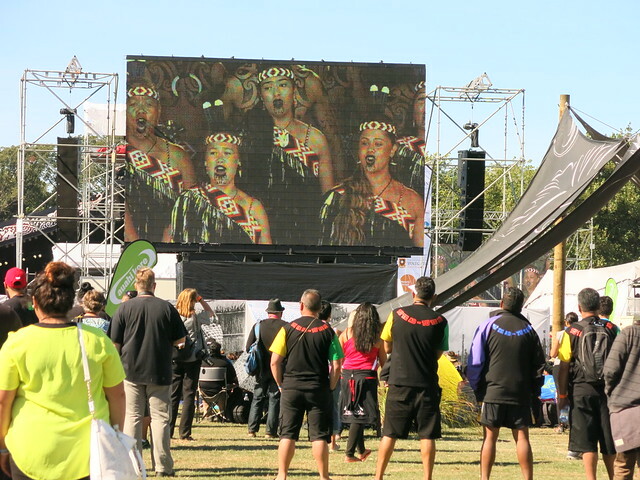 This year’s expression of ‘Ngā Whanaunga’ – which means relatedness and connectedness between peoples – is realised with films from Aotearoa, Hawaii, Samoa and Tuvalu. Session on 19 & 23 August. Investigative journalist Kim Webby’s documentary about Tūhoe activist Tame Iti and the Urewera Four. A portrait of a man and his “rightly embittered philosophy”. Session on 10 & 11 August. Documentary about the tragic death of Janet Moses in 2007 as the result of a mākutu lifting by her family. Session on 17 & 18 August. These guys are the business. Don’t believe me? Check out their te reo version of Lorde’s Royals and then tell me one of their shows wouldn’t be a great night out. Tickets for their 10 & 11 September gigs are selling fast so kia tere! He Kure e Huna Ana is a Pounamu creation story of Poutini and Waitaki but one which develops with the help of the audience. At the Court Theatre 8-10 September. Priscilla Cowie (Ngai Tahu, Ngati Kahu, Nga Puhi, Ngati Pakeha) presents a new sculptural installation honouring the tuna or long finned eel. View it between 28 August and 13 September at The Arts Centre Market Square.